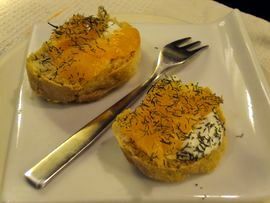 This a really nice and quick way to eat smoked salmon. It is fresh and delicious. 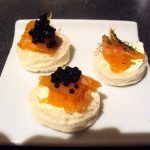 How to make a smoked salmon canapés? 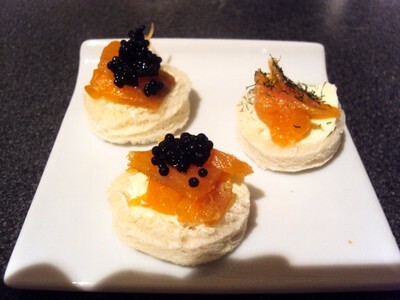 Tip: I usually do some round canapé but you can do square one, that is easier.